Amazing Voice has a vast roster of Professional Voice Talents ready to record your Production - In English, Spanish, French, Mandarin...or just about any other International Language. We continuously update our talent-pool with fresh new voices, allowing us to offer a wide range of different styles, tones and delivery - You are bound to find the perfect voice for your project. Whether your needs are for telephone, narrative or broadcasting... we can help! We have state-of-the-art recording studios located in beautiful Orlando, Florida and our sound engineers are experts in their fields; specially trained in the art of voice over editing and processing. All our voice overs are mastered to CD quality sound before being finalized to your specifications and converted to your audio format. Contact us for more info. Quality is not achieved by accident. 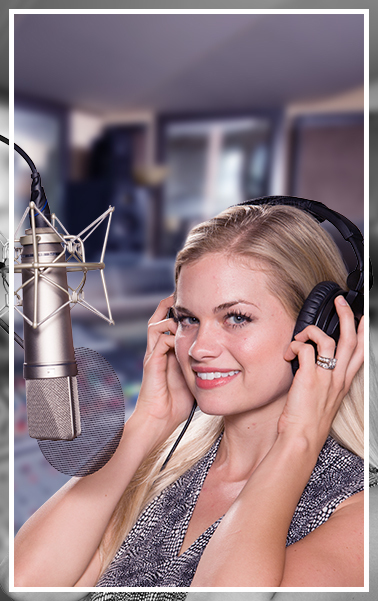 Amazing Voice understands that it is our combination of top voice talents, professional recording studios, experienced engineers and our stringent quality control that allows us to deliver the best voice overs available anywhere. We guarantee it!